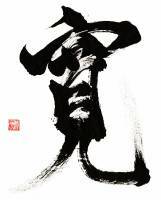 Over the years Shiohira Sensei has generously provided kanji (calligraphy) for the Pacific Aikido Federation's website, for a PAF logo, and for Summer and Winter Gasshuku teeshirts. 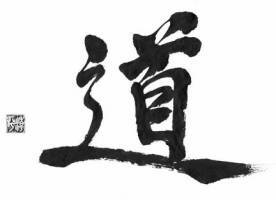 These pages are a small appreciation for the beauty of Sensei's calligraphy, as well as a response to frequent requests for at least an approximate meaning of the various kanji. 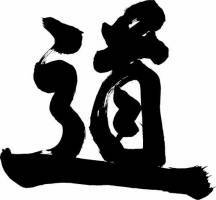 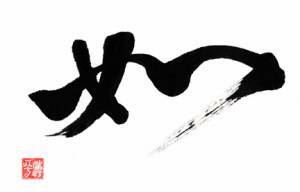 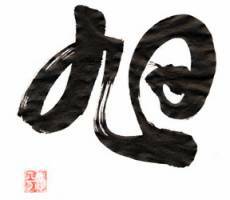 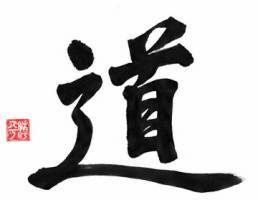 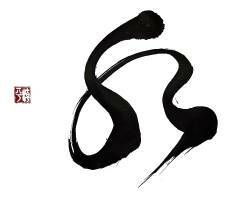 The kanji on the left is the well-known Aikido.